any solution with an extremely high concentration of salts (such as sodium chloride); these streams can occur either naturally (as with seawater, deep-water ocean pools, salt lakes, etc.) or as a byproduct of industry, and they are typically highly concentrated salt solutions that, in some cases, contain more than twice the amount of concentrated salts than natural brine solutions or sea water. any solution extremely high in total dissolved solids (TDS); such as waste streams in many chemical manufacturing processes. Brine waste is typically either recycled for use in the facility’s process or treated for disposal. One of the more cost-effective technologies for treating brine waste, membrane filtration is still widely used to treat brine across various industries. When treating brine, it’s common to see systems that begin with ultrafiltration (UF) and end with reverse osmosis (RO). This sequence of membrane treatment is effective for protecting equipment and minimizing chemical costs and system downtime for cleaning and is generally considered a low energy–consuming technology. Keep in mind this method will leave you with an even higher concentrated brine stream your facility will still need to manage, but the volume of waste to haul/discard will be lower, and you will also have a purified water stream that can be used. Electrodialysis is a form of ion exchange that can be used in a brine treatment system, which is useful if the brine contains organics or hydrocarbons. It’s a membrane process that uses positively or negatively charged ions to allow charged particles to flow through a semipermeable membrane and can be used in stages to concentrate the brine. It is often used in conjunction with RO to yield extremely high recovery rates. Combined, these technologies can concentrate a brine stream down to a high salinity while pulling out up to 60–80% of the water. These can be cost-effective because little pretreatment is required. Evaporation is often used in conjunction with membrane systems to further dry the solids left behind. Excess water is evaporated off, collected, and reused (adding acid at this point will help neutralize the solution so, when heating it, you can avoid scaling and harming the heat exchangers). Deaeration is often used at this phase, as well, to release dissolved oxygen, carbon dioxide, and other noncondensible gases to further protect equipment from corrosion and other harmful occurrences. The leftover waste then goes from an evaporator to a crystallizer, which continues to boil off all the water until all the impurities in the water crystallize and are filtered out as a solid. This process is often used in facilities that aim for zero liquid discharge, but it’s generally reserved for facilities that require it (due to stringent environmental and discharge regulations) as it is considered a costly and high energy–consuming process. If brine volumes are low, sometimes evaporation can be eliminated and the waste can go right to crystallization, but this depends on the resources and needs of the facility. Keep in mind, your solid waste might also require further treatment depending on the requirements of the facility’s landfill, which could mandate a paint filter test (to determine if free liquid is present) or the removal of other contaminants. For this reason, it’s extremely important to be aware of such requirements so optimal treatment options and technology sequences are considered prior to treatment and disposal. 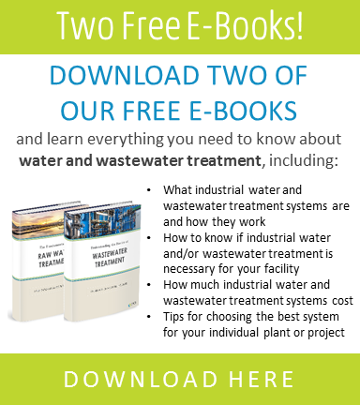 If a facility’s brine meets regulatory requirements, discharging to the local waterways (such as the ocean or surface water) or sewer is generally considered the most cost-effective option. The facility might be required to remove certain contaminants, such as metals, or dilute the stream prior to releasing it, but if the option is available and the facility can do it without harming the environment, the brine can be slowly bled back into the waterway. Regulations for this type of discharge typically requires a permit, and the regulations vary from state to state. In some regions, and depending on the geological makeup of the area, brines can be injected into well deep within the ground. Done properly and while complying with regulations, this can also be a viable option. There is some concern, however, about these injected brines breaching the bedrock that contains drinking water or creating unstable bedrock prone to tremors, as is the case in Oklahoma. There is also a certain risk involved, not knowing how much of the brine the wells will be able to take…so while deep well injection can seem like an easy fix, facilities need to weigh all options when deciding how best to discard their brines. With basic separation technology, the cost to filter a contaminated brine solution or stream (you’re left with purified brine such as sodium chloride) is relatively low. This could include membranes, precipitation, carbon adsorption of organics, oil and water separation, precipitation for metals, and ion exchange polishing. For a 100 GPM system, you might be spending about $750,000 to $2,500,000 at the higher end. Keep in mind the stream may be recycled and used in a chlor-alkali plant. Using ion exchange to pull out contaminants that can be easily removed could still leave a facility with a salt stream that doesn’t easily precipitate. These technologies are relatively low cost compared to high-pressure membrane systems that are required to take the salt out of the brine. A system like this could be around $1 to $1.5 million for a system that runs at 100 GPM. When membranes and ion exchange no longer economical solutions and evaporation is needed, crystallization can also be required to get the solid waste to a zero-liquid state. When you get into thermal polishing processes, the cost goes up exponentially. For example, let’s say you have a 100 GPM stream in the front end of a process that facilitates oil and water separation or adsorption. A front-end pretreatment and RO concentration treatment system could be $1 to $2 million to create a salt stream. Then further treatment for crystallization might be another $10 to $20 million on top of the operating and energy costs. 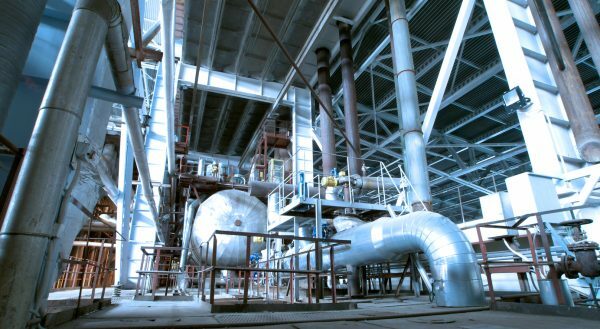 These processes reduce the volume of the salts, but they are costly, high energy–consuming processes that, as mentioned prior, create other, more concentrated wastes. Some companies have had success treating brines and selling them to manufacturers that use them in their processes, but most facilities will want to release the brines slowly to the environment where it’s allowed and safe to do so.